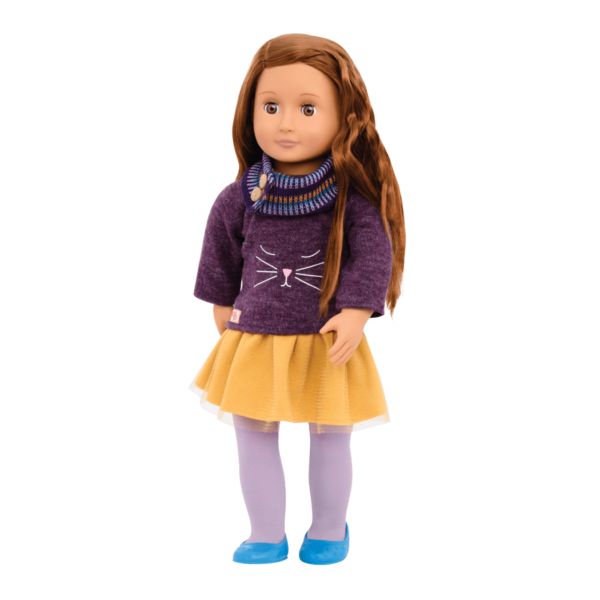 Stay cozy and cuddly with this cat-themed outfit for 18-inch dolls! 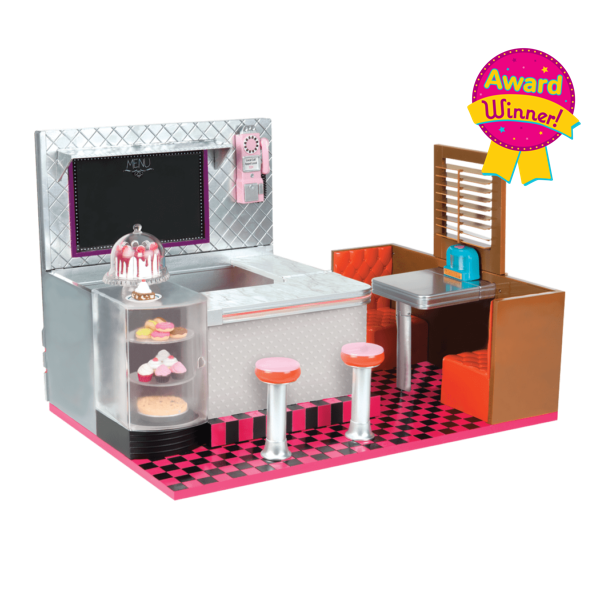 Dress your dolls as cute as a kitten in the Our Generation Cat’s Meow fashion outfit for 18-inch dolls! This sweet and casual look is the purr-fect look for the cat lovers in your life! Meow that’s a cute outfit! Start with the cozy purple sweater with a cute cat-face print on the front for snuggly style that’s perfect as a back-to-school look. Pair the sweater with a contrasting yellow skirt with a layer of tulle for a little extra dazzle. 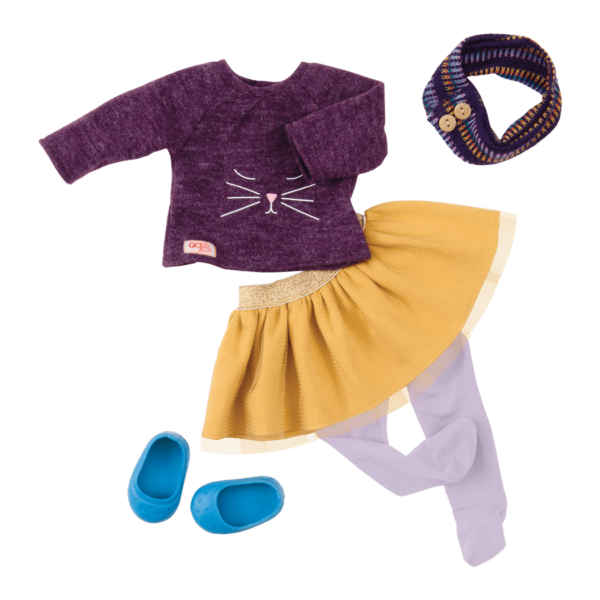 The pale purple tights and purple and yellow knit scarf with buttons tie the look together, and the bright blue shoes add a little pop of color to help your dolls express their creativity in their outfit. Try wearing the scarf as a headband, too! 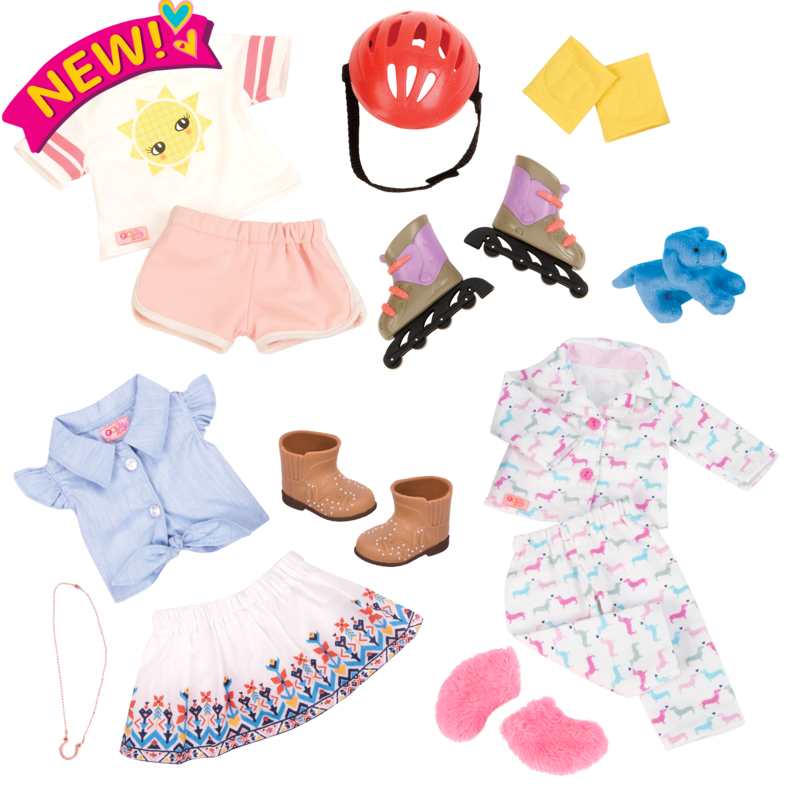 The items in this outfit are easy to mix and match with other doll clothes for endless style combinations. Have you met Adriana, the doll modelling the Cats Meow outfit? Adriana is one of the Our Generation Deco Dolls and she loves dressing up in all kinds of ways. It’s how she likes to express her unique personality! 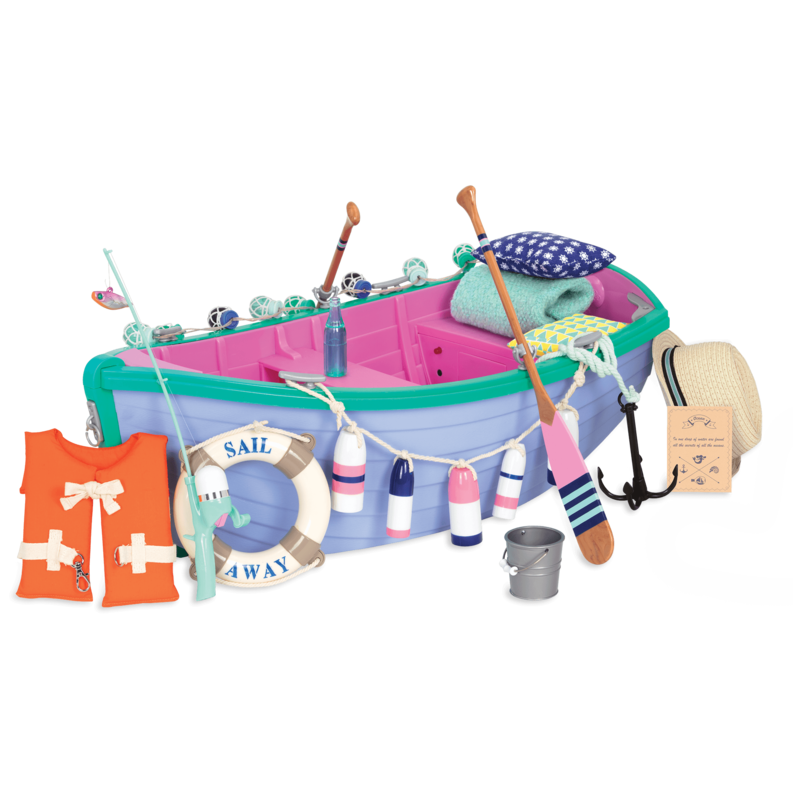 Dolls and kids who love cats will love adopting the Ragdoll Kitten! This 6-inch kitty is a purrrfect companion for your cat-loving OG Dolls! Do you love cats as much as your dolls? Show off your kitty cat style by dressing as twins with your doll in the Me & You heart Mesh Skirt Outfit, a matching outfit for kids and their 18-inch dolls with an adorable cat-face tank top and a pretty mesh skirt!